The Vyasa SJC California study circle is based on the Jyotish teachings coming from the lineage of Sri Achyuta Dasa of Orrisa. Shri Achyutānanda Das was a 16th century poet seer and Vaisnava saint from Orissa,India. He was considered to have the power to see the past, present and future. He was a prolific author, and one of the group of five (Panchasakhaa), that led a revolution in spirituality in Orissa by translatingSanskrit texts into the Oriya language for common people. Mahapurusha Achyutananda was the most prolific writer of the Panchasakhas and wrote numerous books, and Prophecies. He is known as the Mahapurusha (a Great Person) for his vast knowledge on many subjects such as spirituality, Yoga, rituals, Buddhist and Vaisnava Tantra,Ayurveda, and other various science and social regulations. 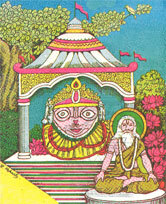 Mahapurusha Achyutananda was born in Tilakona, Orissa in 1510 on Magha Sukla Ekadasi (January 10, 1510). His childless parents had prayed to Lord Jagannath and then one night his father had a vision that Garuda (the Eagle of Visnu) gave him a child. Achyutananda was known as a sad child until he met his guru, Chaitanya Mahaprabhu. His life changed when the guru whispered Mahamantra in his ear. He became one of the panchasakha (the five friends) of Chaitanya. The five friends are known as Achyutananda Dasa, Ananta Dasa, Yasovanta Dasa, Jagannatha Dasa, and Balarama Das. These five friends are said to incarnate whenever Krsna takes incarnation. Achyutananda was the most prolific writers among the panchasakha. His books are still available in the ancient Oriya language, which is a mix of Sanskrit and modern Oriya. Sri Achyuta Dasa had 12 disciples from which his centers of teaching (gaddis) were spread from East India to Nepal. His bhakti filled teachings are a mix of yantra, mantra, tantra, svara śāstra, yoga śāstra, jyotiṣa, sāmudrika śastra, lagāṇa, bhajan, chaupadī, purāṇa, upa purāṇa, and more. Mahapurusha Achyutananda lived to be 121 years of age and when he left this plane he left behind copper, silver and gold plates (potti) to guide his students. The teachings of Shri Achyutananda Das have been passed down to us through the Rath family. The Rath family trace their lineage to the Somanath Temple in Gujarat where they were Atri Brahmins (carrying the 5th Mandala of the Rgveda). After the Muslim destruction of the temple in 1296, the family migrated to Mithila. After which the Universities were also destroyed by Muslim invasions. 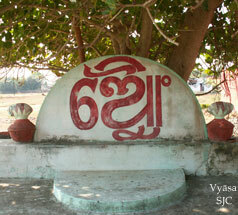 In the 1600’s the Gajapati (king) of Puri invited the family to establish themselves in the Bira Balabhadrapur Sasan village (outside of Puri). Here there is a small Somanath temple on the Bhargavi river where the family traditions of Somanath continue. When the Rath family came to Puri they took on the spiritual tradition and practices of Mahapurusha Achyutananda who was bringing about a renaissance of Hindu culture during that time. 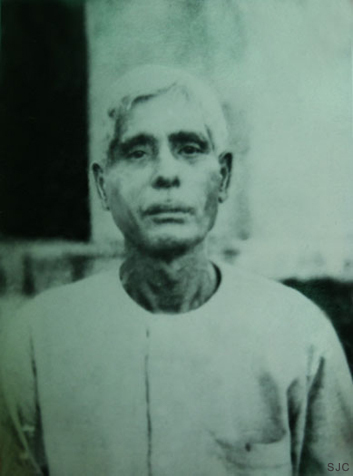 Jagannath Rath (Sanjay’s Grandfather) was born in a time when Jyotisha was still supported by the Orissi Mahārājas. He was a royal astrologer (Rāja Jyotishi) who had learnt from his grandfather. The royal support of the Vedic sciences led to a high level of quality, as seen in other Vedic masters like T. Krisnamacharya who was supported by the Maharaja of Mysore. Orissa, with its great Sun temple at Konarak, has been famous for its astrologers and always supported the Science of astrology. Jagannath Rath was given the title of a Jyotish Ratna in Orrisa. Jagannath Rath lived a very austere life. He had a powerful personality that put many shaking around him. He was known for his generosity but also for the personality of Durvasa. A room was kept at the Mahārāja’s house for him to stay when he would read the royal family’s charts. These readings would sometimes last a week or two, and would go into great depth. Jagannath Rath wrote many books in his native language to make jyotish more accessible. He also wrote about the benefits of being vegetarian and other modern issues. Astrologers from south India, Varanasi and Kolkata would make pilgrimage to ask his advise and guidance. Jagannath Rath insured that Guruji (Sanjay Rath) was well trained and performed the appropriate sadhanas needed to carry forth Jyotisha from this Sri Achyutananda Parampara. When Sanjay was born his parents were to name him Shushanta, but when grandfather came he did his calculations. Using the svara chakra and other methods he named our guru Sanjay. In Jagannath Rath’s later years, he would fast for long periods and sometimes disappear on long pilgrimages. He kept his sadhana secret and in the final stage of life he became a Saivite Sanyasin. 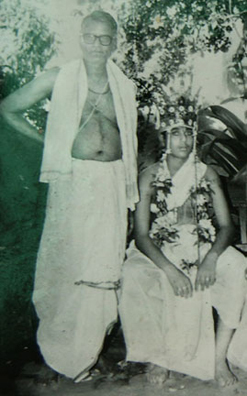 Kasinath Rath (Sanjay’s Uncle) was the eldest born son. The tradition of Hora Shastra was passed through him. Sanjay’s father, U.K. Rath, learned advanced Ganita Shastra (science of astronomical mathmatics) and became an industrialist. Kasinath Rath held the family tradition from Jagannath Rath. He would hold traditional informal classes teaching Jyotisha. Sanjay spent much of his childhood learning from his uncle and was known as one of the best students. Together, Kashinath and Jagannath Rath ensured that the tradition of Jyotish was passed to Sanjay Rath as a child. Sanjay Rath was born into this traditional family of astrologers from Bira Balabhadrapur Sasan village of Puri, Orissa. Sanjay studied under his under his uncle, late Pundit Kasinath Rath and his grandfather, late Pandit Jaganath Rath. Sanjay began his studies at 8 years of age, and received the depth of Jyotisha only found among those who have been trained in the ancient traditional way of the parampara. 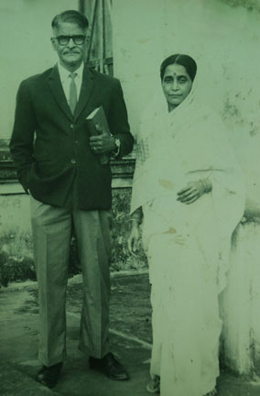 He later became a graduate of mechanical engineering and worked for some time in government service in India. Leaving government service to devote himself completely to Jyotisha, he has the depth of the ancient knowledge with the ability to communicate it to the modern mind. He uses Brihat Parasara Hora Shastra, Jaimini Upadesa Sutras, Brihat Jataka and Saraveli as the foundations of Jyotisha. He teaches from various other Jyotish scripture and Nadi texts as well as sacred literature such as the Bhagavad Gita, Bhagavad Purana, Upanisads, Puranas, etc. Few are able to grasp Sanjay’s broad and deep approach, and only the advanced astrologer is truly able to appreciate it. His teachings show the underlying factors of why the principles of astrology work. Not holding to one school’s thought or creating his own brand of astrology, he teaches a wholistic approach to Jyotisha that gets to the heart of the ancient Jyotisha scriptures. 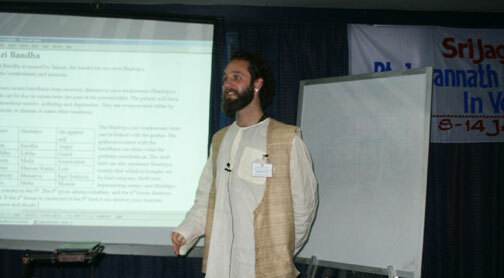 He gives his students the clarity of vision of the eye of the Vedas. His works are filling the void of advanced teachings and raising the standards in the astrological world. To promote the teachings of his parampara he has formed the Sri Jagannath Center where his advanced students are helping to spread Jyotisha in a way that keeps its spiritual roots. Students learn not only about Jyotisha, but also mantra shastra, mudra, pranayama, meditation, and the Sanatana Dharma. Sanjay Rath is the editor of the quarterly magazine Jyotish Digest. He travels and teaches though out the world to in the larger SJC groups found in India, Singapore, Serbia, Europe, and the USA. He has authored many advanced books and articles on Jyotisha, some of which are available free online. Freedom Cole is the jyotish guru at the Vyasa Sri Jagannath Center, California. He has a broad background in Yoga, Ayurveda and other healing modalities. He has a cross cultural approach to astrology integrating the modern mix of cultures while keeping true to the Vedic tradition. 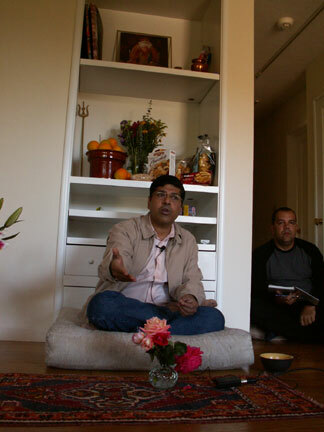 Freedom studied astrology through various ACVA teachers until meeting Sanjay Rath in 2001. He has lived for extended periods in India studying with Pandit Sanjay Rath in Delhi, Bhubaneshwar and Puri. He has also spent extensive time in Varanasi and in the Kamoan Himalayas at Herakhan Ashram and retreats with the Devaguru Brihaspati Center. The Vyasa SJC classes are a combination of the practical and spiritual applications of Jyotisha. Freedom shares the teachings he has received from his time studying and traveling with Paramguru Sanjay Rath and the Shri Achyutananda (Panchasakha) tradition.